Knights is a free multiplayer game involving several knights who must run around a dungeon and complete various quests. Each game revolves around a quest – for example, you might have to find some items and carry them back to your starting point. This may sound easy, but as there are only enough items in the dungeon for one player to win, you may end up having to kill your opponents to get their stuff! Other quests involve escaping from the dungeon, fighting a duel to the death against the enemy knights, or destroying an ancient Book using a special Wand. 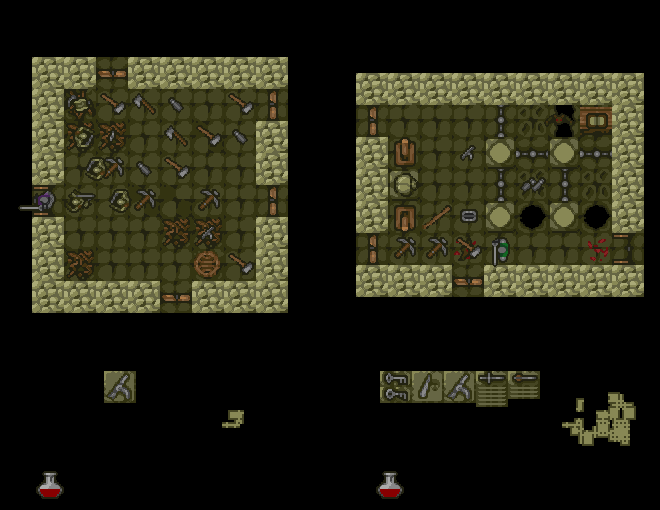 While exploring, you will find various items to aid you. Hammers can smash down wooden obstacles. Axes can be thrown or swung at your opponents. Potions and scrolls will give you (temporary) powers. But beware, for there are also dangers, including deadly traps, bloodthirsty vampire bats, and zombies who exist only to kill living knights! Although this game can be a bit complicated to learn at first (due to the large number of weapons and items available), it is great fun and the customizable quests and random dungeons make it highly replayable. It can be played online, over a LAN, or in split screen mode. Visit the download page for further information. 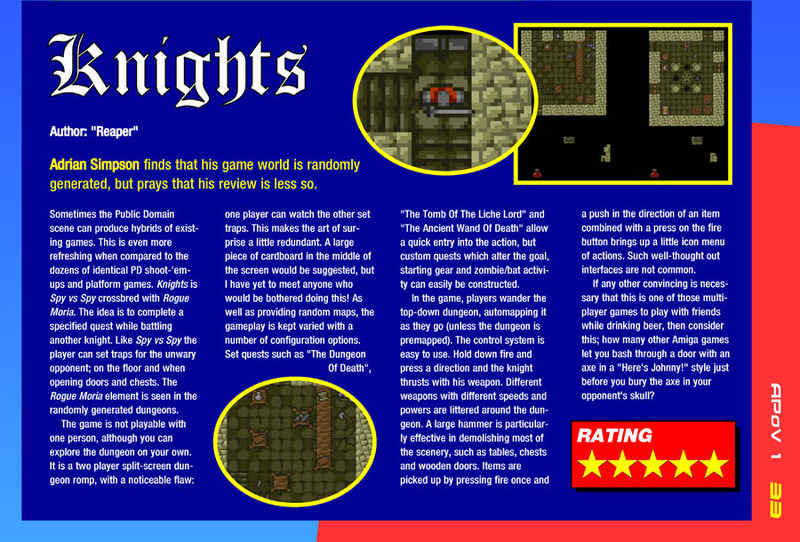 Knights was originally a freeware game for the Amiga, written by Kalle Marjola in 1994. This version uses all of the original graphics and sounds (kindly made available by the original author on this page), but the game code has been rewritten from scratch in C++. The main changes compared to the original are faster, smoother gameplay, and the addition of online play. The latter includes the ability to have more than two players in the dungeon at once – opening up a whole new dimension of Knights gameplay! I can be reached by email at: stephen (at) solarflare.org.uk. I can also be contacted via the forum or blog if you prefer.